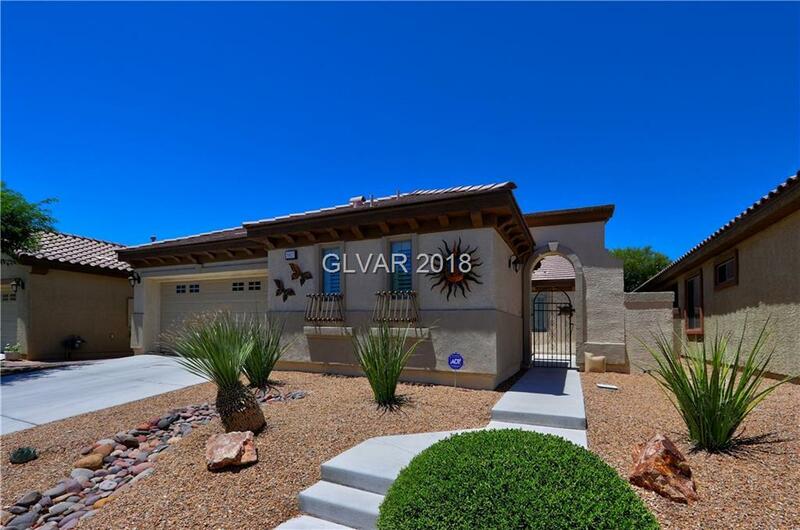 LIVE THE LIFESTYLE IN GUARD-GATED, AGE-QUALIFIED "ARDIENTE" IN NORTH LAS VEGAS! PARKS, COMMUNITY CENTER, FITNESS, 2 POOLS, SPA, BILLIARDS, BOCCE BALL, PICKLEBALL, BASKETBALL, CARD ROOM, SOCIAL CALENDAR! 2 BR'S PLUS DEN IN MAIN HOUSE, PLUS 1 BEDROOM & BATH IN SEPARATE CASITA! WALLED PATIO/COURTYARD W/FIREPLACE! LIST OF UPGRADES AVAILABLE, CURRENT SCOTT DUGAN APPRAISAL AT $275,000. SUBJECT TO PROBATE COURT APPROVAL, SOLD "AS IS."